The cost of a good suppressor ranges from $600-$1000, and then there is the $200 to Uncle Sam for the tax stamp and the 3-6 month wait. 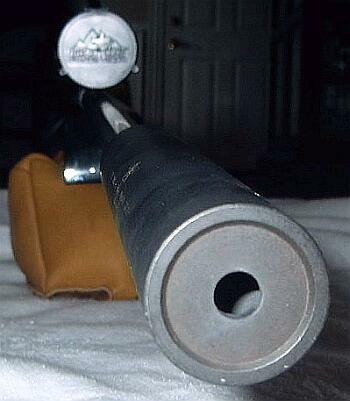 (Currently, 33 states allow citizens to own suppressors in accordance with Federal regulations.) The suppressor on this gun is considered one of the best, a SWR Omega. USMA89 adds: “I also use a SRT suppressor and am very pleased with it as well. The SRT costs about $300-$400 less than the SWR and you get the same amount of sound reduction.” With a quality suppressor you can get from 33 to 36 db worth of sound suppression. To learn more about silenced weapons, read this article on Firearm Sound Suppressors by Mark White. Share the post "Sound Suppressors for Target and Varmint Rifles"